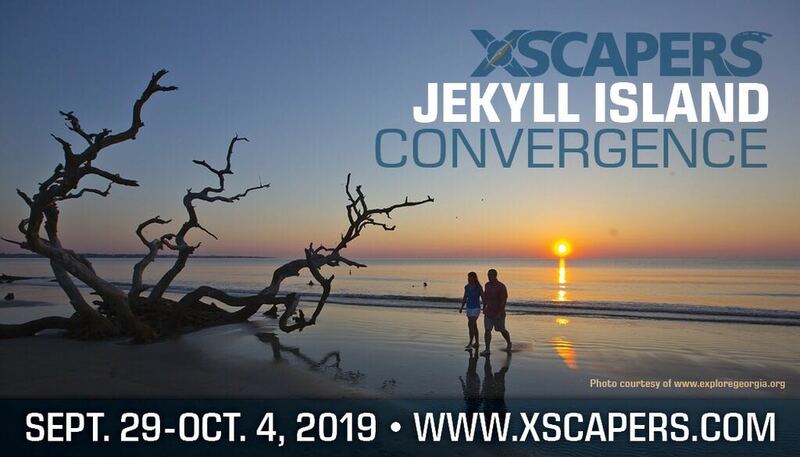 Join your fellow Xscapers in the Golden Isles of Georgia on beautiful Jekyll Island for a week mixed with relaxation, excitement, and fun. This outdoor wonderland is filled with hiking and biking trails, abundant sea life, and a plethora of activities for all. Our home base will be Jekyll Island Campground, a large scenic campground nestled on the north end of the island, surrounded by old growth timber and great beaches, there is sure to be something for everyone. For those with more than two attendees (including kids). You will receive confirmation of your purchase along with an event ticket. Keep this confirmation emails! Join the FB Group page created for this event specifically. This page will be used for communication leading up to and during the event. You will also receive instructional emails a few week prior with more information as needed. 10 percent cancellation fee of the full registration amount will be deducted from any refunds 30 days or more prior to the event. 50% refund 14 -29 days prior. No refunds 13 days or less. 22 available	 One RV Campsite (Up to Two People) $375.00 Jekyll Island Convergence admittance and one full hookup campsite and up to two attendees. Unlimited available	 Extra Person $30.00 Extra person ticket for those with more than two attendees. This is a per person charge to cover included Convergence activities.